Mike "The Situation" Sorrentino of MTV's hit show, "Jersey Shore" has signed on as Access Hollywood's guest correspondent covering the 52nd Annual Grammy Awards. "I am very excited and honored to be on the red carpet at the Grammy Awards for Access Hollywood," said "The Situation." "I can't wait to show Hollywood the real 'Situation' and we are not talking about my name!" 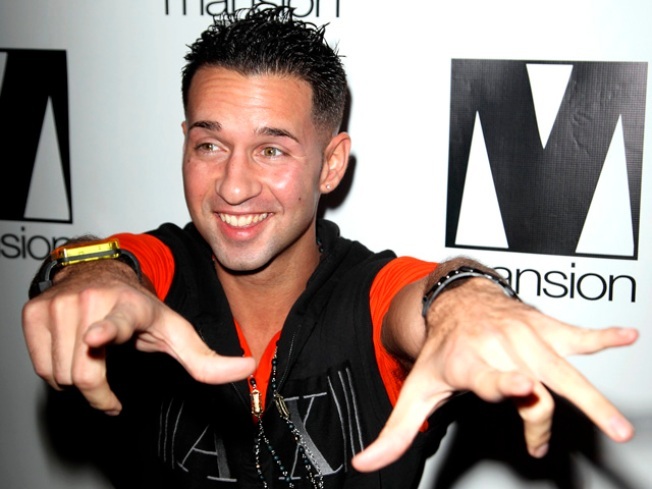 "The Situation" became a breakout star during the series debut of MTV's reality show, "Jersey Shore," gathering a celebrity following and coining such phrases as "GTL" and "creeping." He will bring his energy, excitement and charisma to the red carpet and give viewers a fantastic time with his fun and candid interviews. "The Situation" will be on hand to interview the nominees and presenters of the Grammy Awards, capture behind-the-scenes moments and provide a unique perspective from the red carpet. "'The Situation' will be fun, outrageous and perfect for Access Hollywood on the red carpet at the 52nd Annual Grammy Awards," says Access HollywoodExecutive Producer Rob Silverstein. "His outfit and interviews are sure to be entertaining and memorable!" Access Hollywood is distributed by NBC Universal Domestic Television Distribution. Rob K. Silverstein is the executive producer. PLAY IT NOW: AUDIO: What's 'The Situation' For Season 2 Of 'Jersey Shore'?